There's something to be said about 'firsts'. They always have a special place in your memories, and in this case, a special place in my doll collection. Though I wasn't a huge fan of the Lord of the Rings books, I loved the movies. 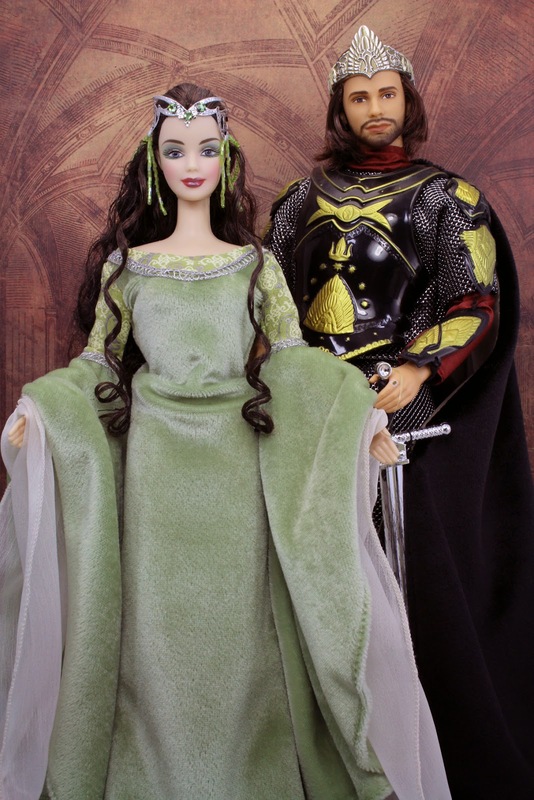 So when I saw one lonely box of the Mattel set version of Arwen and Aragorn dolls on a top shelf of the toy section at Walmart, one fateful day, over a decade ago, I reached for it and decided the doll set was there waiting just for me to purchase. I wasn't a doll collector then. I just thought it was cool to have a Lord of the Rings doll set. Obviously, the dolls impressed me enough that I ended up being a Barbie collector not long after. I'm not normally a completist. This is one exception. 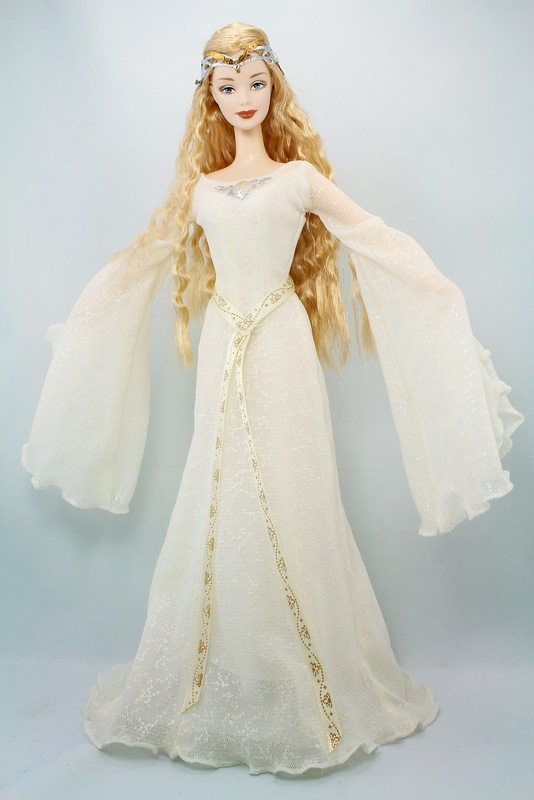 Because the Arwen and Aragorn dolls hold a special place in my collection, I simply had to have the Galadriel and Legolas doll too. Looking at the others I've got by Mattel from around the same timeline, these are not really of the greatest quality. 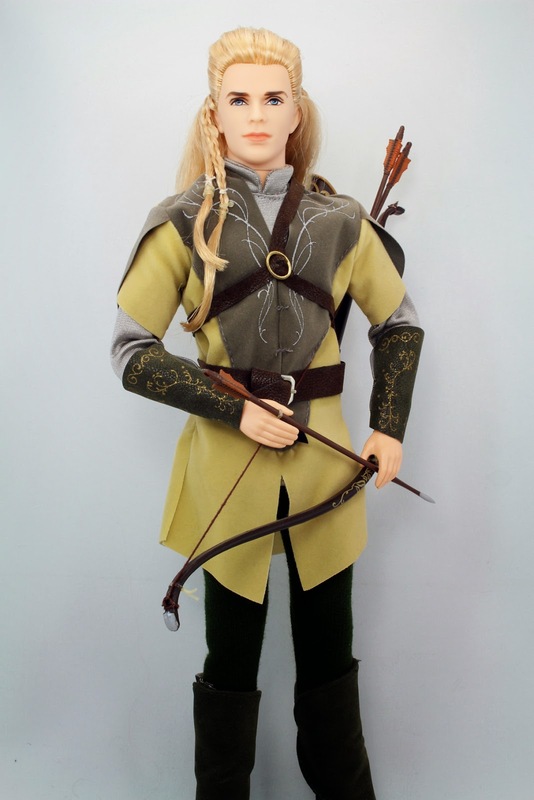 The fact that they are Lord of the Rings dolls just upped their coolness factor. The pink label Princesses of the World seem nicer overall, in my eyes. Still, they look nice displayed all together. 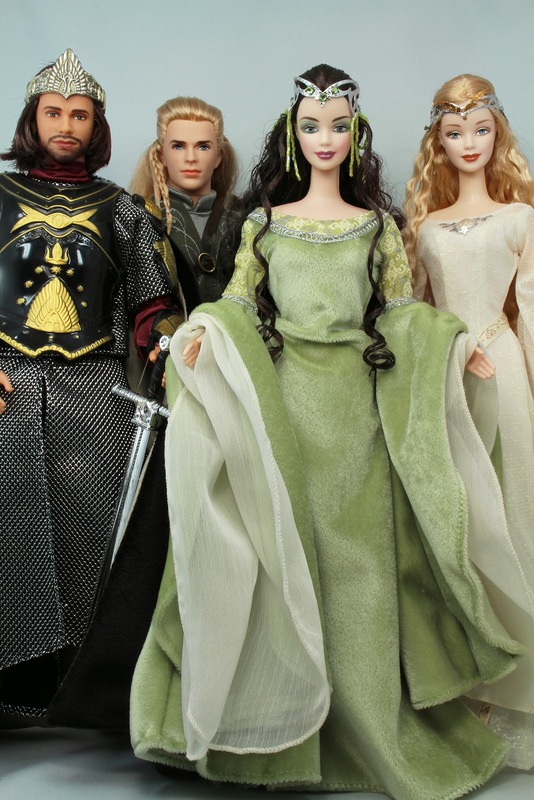 So even though Arwen's legs are now totally yellowed...And I had just discovered in this photo shoot that Aragorn is growing a weird blackish spot on his left cheek, I love them to pieces for introducing me into the colorful world of serious doll collecting. These dolls look fabulous! I learned too late about them and they were already long sold out once I finally knew. I am a huge LOTR fans but not a doll fan back then either. My favorite is Galadriel. She is simply stunning in her white dress and although she does not look much like Cate Blanchett, I think she is so beautiful that it really didn't matter. Nice to see this lovely group again. I've held onto my Aragorn and so glad I did. These are lovely dolls (despite the problems you've found with them). And the outfits are probably the most representative of the characters from the movies - I know that green dress was one of the most copied by fans of the movie. Kreacje tych lalek są imponujące! Pięknie prezentują się na modelach! Cudne!